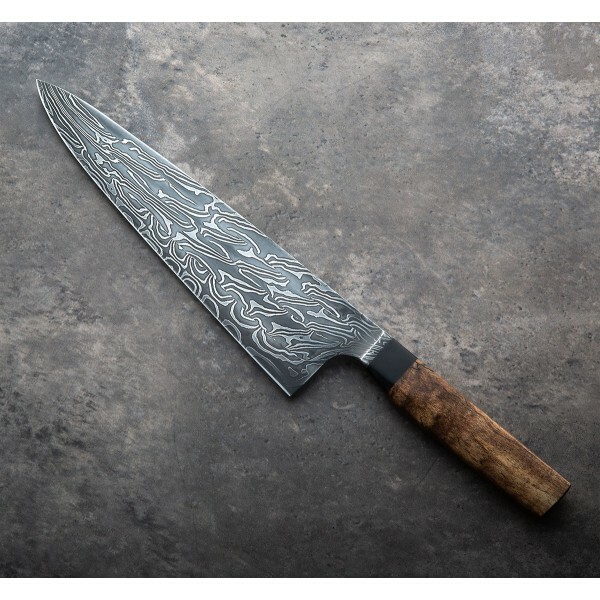 A mesmerizing 4-bar twist pattern in housemade damascus is shaped into a beautiful and versatile 215mm / 8.46" chef knife with a European-inspired profile. 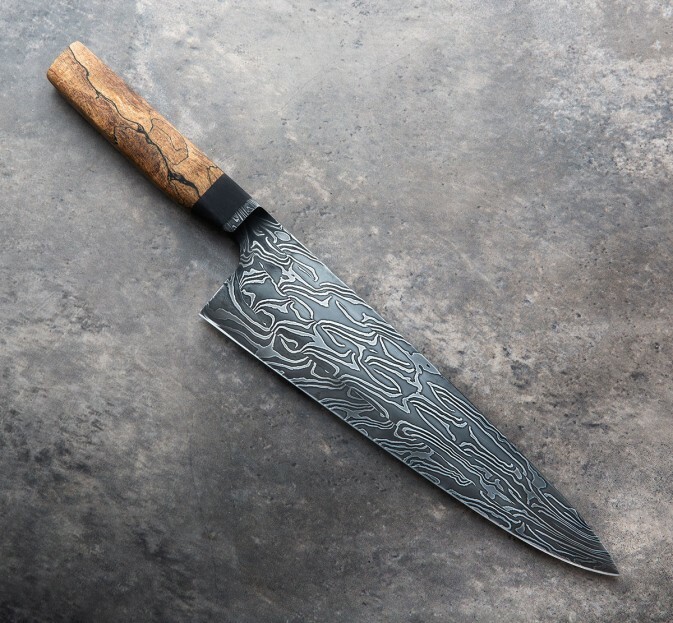 Using his well-trained eyes and intuition Nick Anger forges each integral blade at his shop in Northern Vermont, heat treating, quenching and tempering to a finely tuned tool. 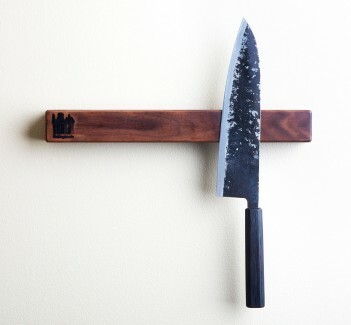 This knife is thin and light in the hand, easily becoming a daily user in any kitchen. The stabilized, spalted maple handle shows very nice grain and is matched to a dyed maple bolster. Blade: 215mm / 8.46. 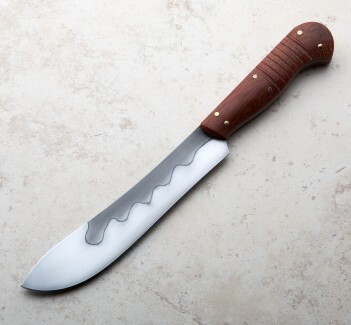 Overall length: 345mm / 13.58". Blade width at heel: 2.8mm. Blade width 1" from the tip: 1.1mm. . Blade height at heel: 55mm. Weight: 6.1oz / 174g. Blade: 1080/15n20 4-bar twist damascus. 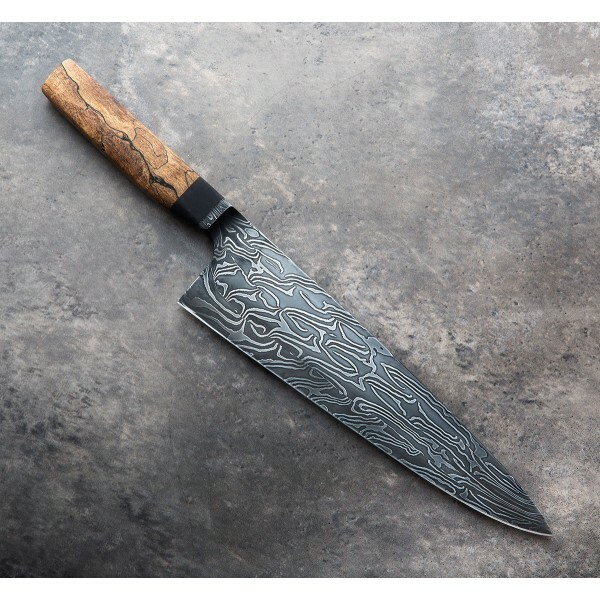 Handle: Stabilized spalted maple with dyed black bolster.